Christopher Aitken was born in Placentia, California, May 10, 1969 and has been a practicing attorney since 1997. Mr. Aitken is a partner of the law firm Aitken Aitken Cohn, located in Santa Ana, CA and has practiced with the firm since 1997. Christopher Aitken is proud to represent plaintiffs in major civil jury trial litigation in the fields of personal injury, insurance bad faith, wrongful death and general business litigation. Chris graduated from the University of California, Los Angeles with a Bachelor of Arts Degree and Political Science Major. He obtained his Juris Doctorate Degree from the University of Southern California. 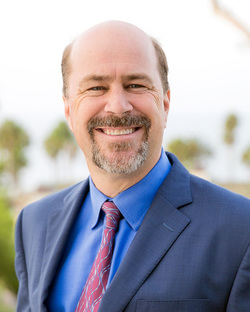 Chris is a life-long resident of Orange County, California, and currently resides in San Clemente, with his wife Maureen, and their four children. He recently dove into the food and beverage industry as part-owners of San Clemente’s newest restaurant, H.H. Cotton’s. Chris Aitken is a strong advocate for consumer safety and has successfully litigated and tried numerous civil actions wherein he has obtained numerous seven and eight figure results for his clients. His recent notable achievements include a trial judgment on behalf of his client, a 13 year old boy who sustained a severe brain injury in an automobile collision, resulting in a jury verdict of $23,500,000 in Feitler v. E.A. Pedersen Power Products, Peter I. Mr. Aitken has also recently obtained a $20,000,000 settlement (and estimated over $100,000,000 payout) for an 8 year old boy who suffered a brain injury by falling from a soft contained playground at a prominent fast food chain in B. v. Doe Fast Food Chain. Due to in part to this matter, the food chain is in the process of performing retrofits for consumer safety on all their playgrounds on a national basis. His appellate practice is reflected in opinions such as Huie v Southland Sod, which immediately thereafter resulted in a $5,000,000 settlement for the wrongful death of a loving father and husband of two children in an automobile collision. Mr. Aitken successfully litigated Lieu vs. Disneyland, a case which reached national attention when a metal cleat dislodged from Disneyland’s “Sailing Ship Columbia” killing a man and seriously injuring his wife. The settlement of this matter was estimated at $25,000,000 by the Los Angeles Times and the case led to major changes in California law regarding the safety of theme parks. Shortly thereafter, Chris Aitken successfully litigated the matter, Torres v. Disneyland, involving a fatality on the Thunder Mountain roller coaster at Disneyland. He has also been involved in other high profile litigation such as Larkin v. Peterson Brothers, a wrongful death matter of a renowned optometrist in Anaheim Hills which resulted in a recovery of over $4,100,000 and heightened County awareness for truck safety and Corbin v. Westbrent Limited, involving the traumatic brain injury of Ryan Corbin, grandson of performing artist, Pat Boone, resulting in a $10,125,000 settlement.